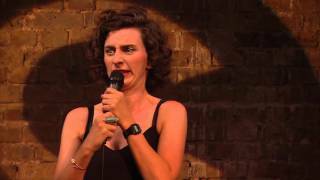 In a reversal of the normal order, Australian comic Felicity Ward came to stand-up after having appeared in a TV sketch show, Channel Ten’s The Ronnie Johns Half Hour, where in 2005 and 2006 she played six-year-old Poppy, German nihilist Gretchen and lawn bowls instructor Heidi. After the show finished, she worked with her co-star from the show, Heath Franklin, when he performed in character as tough jailbird Chopper. 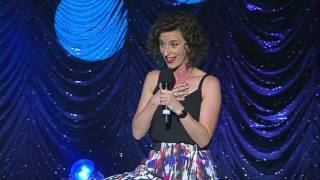 And at the 2008 Melbourne Fringe she performed her debut full-length solo show, Felicity Ward's Ugly as A Child Variety Show, winning the festival’s best newcomer title. It was also nominated for best newcomer at the Melbourne International Comedy Festival the next year. She had further award success with her 2012 show The Hedgehog Dilemma, nominated for best show at the Adelaide Fringe and the Melbourne comedy festival, and winning her best Australian act at the Sydney and Perth Comedy Festivals. Ward now divides her time between London and Australia. In 2018 she was nominated for the Edinburgh Comedy Award. Sorry. 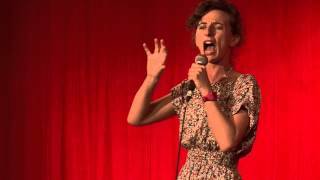 We have no listings of forthcoming performances by Felicity Ward. 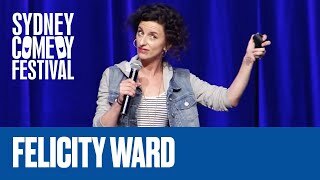 We do not currently hold contact details for Felicity Ward's agent. If you are a comic or agent wanting your details to appear on Chortle, click here.